If you're rebuilding your A-65 thru IO-240 or 360, and you're going to spend some $2500+ for new parts, I'll bet you want to build it right. My supply of these is running very low, and we'll probably never see this deal again. AT ACS, these are $19. each, but we're selling them to the Piet and Cub groups for $12.50 each. Replacing all 8 for $100. (4 Cylinder engine), these are the least expensive part of your rebuild. 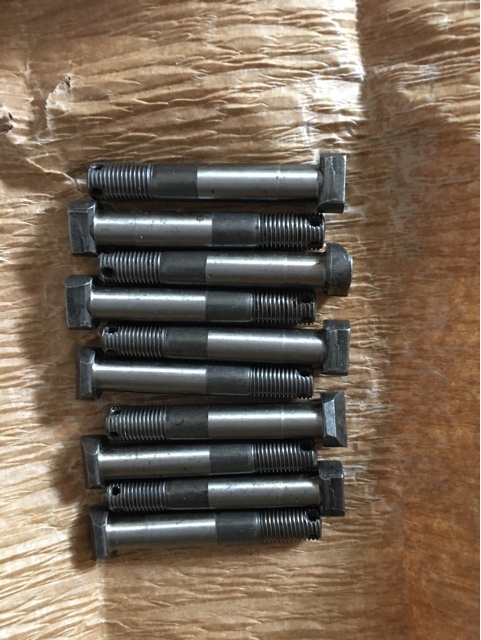 12 bolts for a 6 cylinder engine will cost $150.00 Specify whether you want a set of 8 or a set of 12, and I'll adjust cost accordingly. Contact me via text at 832-326-2970 with questions.